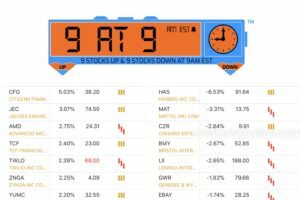 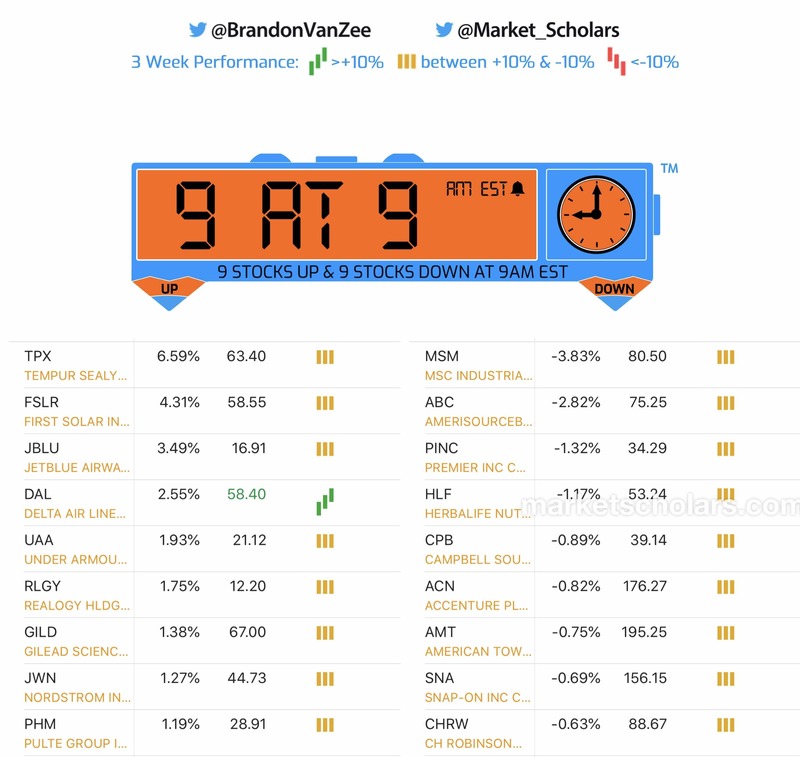 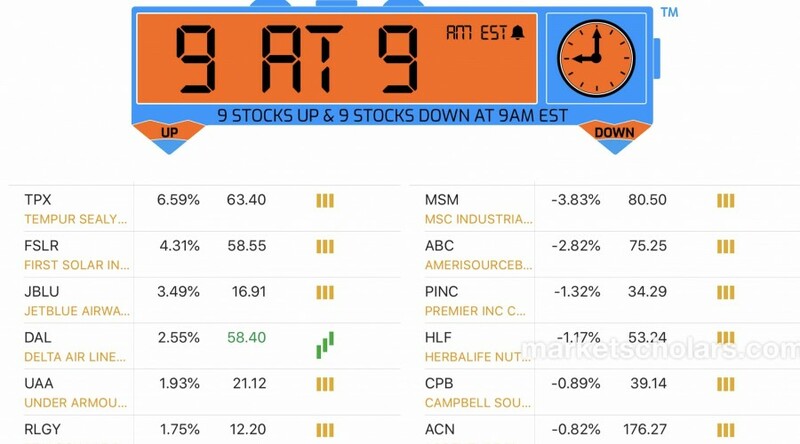 The "9 at 9" is a daily digest posted at 9:00 am ET featuring 9 stocks that are up and 9 stocks that are down in the premarket. 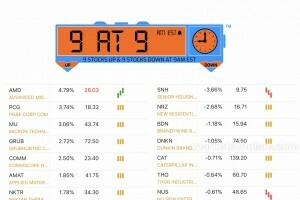 It concentrates on large and mid-cap U.S. companies by filtering out less substantial foreign and penny stocks. This list helps you understand which stocks are most likely to influence markets during that trading day and can help you plan accordingly.